I do encourage you to buy a domain name at namecheap.com, they sell international domain extensions, new domain tlds for a cheap fee. C/You can choose a web hosting company offering a MySQL database and a web server with PHP and you can install WordPress manually. When you will subscribe to a web hosting plan, the form will prompt you for your domain name. 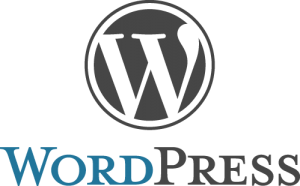 3.How to install wordpress on a web hosting plan? Softaculous, Installatron, Cloudron are online web applications from where you can install several CMS like wordpress, drupal, joomla from a simple form. They are plugins of web hosting softwares like Cpanel and Directadmin. Consequently, if you choose a web hosting plan with Softaculous or Installatron, it means you can easily install wordpress from a form. Cpanel also comes with a free WordPress manager which allows one-click installation thanks to a form. I do encourage you to buy a professional wordpress theme. Non-professional wordpress themes have many issues. By the past, I have faced many issues with free wordpress themes. Some free themes were not mobile friendly. Some were not compatible with woocommerce. Some had SEO issues. Some faced design issues and required a lot of CSS code to fix the defects. They have no backend design administration so that every change should be coded. Paid wordpress themes aren’t perfect (they also have issues) but there are better than free wordpress themes. We advise to install All-in-one SEO because it is a lightweight plugin that focuses on the most important aspects of SEO.